The world seems to spin a little slower along the coast and on the islands between Dubrovnik and Split. People there have a “Don’t worry; be happy” attitude and an easy outlook on life that is highly contagious if you spend more than a few hours there. Dubrovnik has it all: Beauty, beaches, festivals, history, and the wall, all set against the warm Adriatic. It has been a top summer destination for Europeans for more than a century. Walk the wall; visit Europe’s oldest working pharmacy; jump off a cliff; drink from a 15th-century fountain; watch a midnight fashion show; dine on a rampart terrace, or just meander through the narrow streets off the Stradun. Expert tip: After your visit, head seven miles northwest of Dubrovnik to the cool, green Renaissance oasis of Trsteno. This 70-acre garden overlooking the sea is overflowing with exotic plants, graceful sculptures and fountains, and a period villa. This mountainous strip of land juts into the Adriatic just above Dubrovnik and is often overlooked by visitors to Croatia. Big mistake. Climb the wall fortification at Mali Ston at the south end of the peninsula, less than an hour from Dubrovnik. It resembles the Great Wall of China and is great for photos. Then tour the working salt pans below. Drive 36 miles north to Orebić, where a tree-lined sandy beach on a tranquil bay awaits. Orebić is one of Croatia’s most family-friendly resort spots with ferry service to nearby islands and the mainland. The 30-minute ferry ride from Orebić to Korčula makes a day-trip to the storied island easy. Biking is an efficient way to explore Marco Polo’s reputed birthplace, which is only 30 miles from end to end and 5 miles across at its widest point. Pedal to historic buildings in medieval, walled Korčula Town, then venture farther into the island to discover Lumbarda and Smokvica, both scenic road stops on this island known for its white wines (Pošip and Grk). Or combine cycling while touring the vineyards and go on a wine tasting tour with Korcula Explorer. When the Roman Emperor Diocletian retired early in the 3rd century, he headed to his retirement palace on what is now Split’s Riva. At the time, the palace was a self-contained, walled settlement. After centuries of tear-downs and building, Diocletian’s Palace has devolved into a fusion of Roman ruins and city core. Take half a day to tour this UNESCO World Heritage site and its recently restored basement (Podrum). 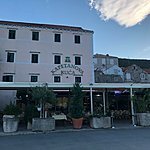 Then have lunch on the Riva, shop the open-air Pazar market outside the palace’s Silver Gate, and check out the busy port where ferries and catamarans dock to serve southern Dalmatia and Italy. 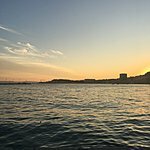 Other unique experiences in Split written here. Vis is the inhabited island farthest from the Croatian mainland. It was a strategic Yugoslav military post during World War II and again during the Homeland War. Vis was residents-only until 1999 when restrictions on visitors were lifted. Today, Vis is becoming a haven for divers and sailing enthusiasts, who drop anchor in the island’s many secluded bays or in Komiža, one of two main towns at opposite ends of the island. (The other is Vis Town.) Highlights include Tito’s bunker “safe-room” dug into a hill, a British naval cemetery, a fine archeological museum, beaches, and ongoing digs for artifacts left by the Greeks, who founded the island in the 4th century. The easternmost region of Croatia is seldom on tourist itineraries, but for anyone interested in nature, cycling, and heartland history, it is a must-see. Slavonia is Croatia’s breadbasket, a flat plain planted with acres of wheat and sunflower fields. It has expansive nature parks, the Danube, and a culture influenced by Austro-Hungarian occupiers centuries ago. Kopački Rit Nature Park is one of Europe’s largest protected wetlands. It is located at the confluence of the Danube and Drava rivers and it is home to hundreds of species of birds, fish, mammals, and plants. This is a park designed to provide a safe haven for species that live there yet give human visitors freedom to be themselves. Kopački Rit pioneered cycling tourism in Croatia and today the entire preserve is a throughway for two international cycling routes. The park also is laced with miles of wooden walkways. Limited hunting and fishing are allowed. The 19th-century neo-Gothic Cathedral of St. Peter the Apostle is the symbol of Ðakovo, but the Lipizzaner stable and stud farm outside town are better known. The farm was founded in 1506 to provide horses for the Habsburgs and it still is going strong. Ðakovo Lipizzaners are world famous: They have performed in the Olympics and before Queen Elizabeth II. Expert tip: Tours of the stable are available upon request http://ergela-djakovo.hr/en/. This city of wide, tree-lined boulevards and baroque mansions was hit hard during the Homeland War, but it has recovered almost completely. It is a city for walkers. You don’t have to go far see theaters, museums, Secessionist architecture, and Tvrđa, an 18th-century military citadel built in response to Ottoman invasions. In June, July, and August, Osijek becomes a stage for “Summer Nights,” an al fresco program of music, culture, food, and fairs. Expert tip: While in Osijek, be sure you get a taste of kulen, a paprika-spiced sausage made in Slavonia. Wash it down with locally brewed Osječko beer. You dream it and Istria probably has it. From colorful Venetian towns on the sea to hilltop cities overlooking vast spans of green. This tiny peninsula in Croatia’s northwest corner is crammed with points of interest for anyone into water sports, climbing, hiking, food and wine, ghosts, art, or history. For more detailed information on Istria, check out Jeanne's suggestions here. 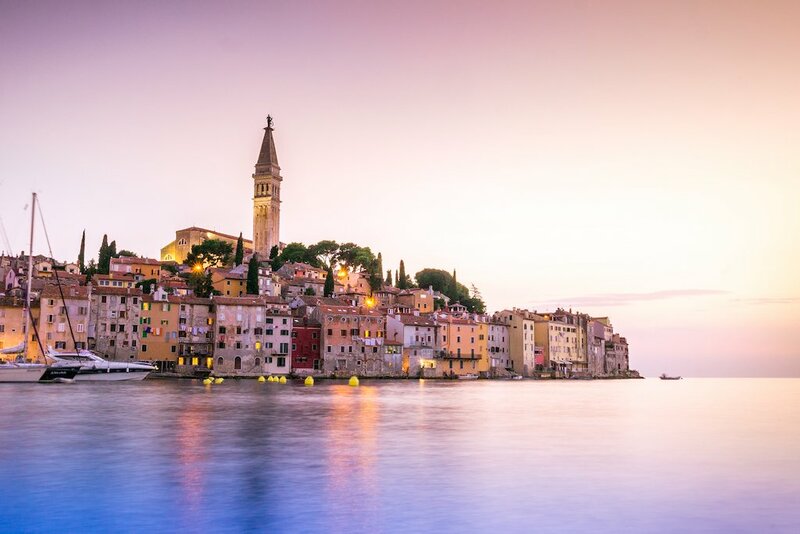 Any of Rovinj’s steep, narrow, cobbled streets that lead uphill to the town’s highest point will take you to the baroque Cathedral of St. Euphemia, the picturesque town’s most recognizable landmark. Euphemia was martyred in AD 306 and legend has it that the huge stone casket in the church floated from Constantinople to Rovinj 4 centuries after her death. Even if visiting churches is way down on your bucket list, make an exception for the Euphrasian Basilica Complex, a UNESCO World Heritage site in Poreć. Stunning gem-studded mosaics, symbolic mosaics, and gold-leaf-covered mosaics—all from around the 6th century—are on display in the basilica and its atrium, baptistery, and bell tower. Tiny Roč is surrounded by a medieval gate so low that it’s hard to believe it would deter any invader. Roč also has interesting town gates, a bell tower, and numerous Roman tombstones, but it is Glagolitic Alley that stands out. The 10 outdoor sculptures alongside the narrow, 4-mile-long road linking Hum to Roč are dedicated to Glagolitic scholars, Croatia’s traditional language based on the Glagolitic alphabet. Expert tip: Hum, population 20, claims the title of smallest town in the world. However, its main restaurant, Humska Konoba draws scores of visitors every day to sample its renowned home cooking. Walk or bike through this small town just north of Pula and just 4 miles from the sea. It is a mass of twisting passageways with a distinctly medieval vibe. The main draw is behind heavy red velvet drapes at the 18th century Church of St. Blaise near the main square. There you will listen to a tape explaining the exhibit in the language of your choice while you peruse a collection of three complete mummies in period clothing displayed under low light in glass cases. Other cases contain piles of saintly bones, two of which are said to have belonged to St. Barbara and St. Sebastian. The area of Croatia that borders Hungary is known for its no-nonsense work ethic, castles, and as the birthplaces of local heroes. Cities and towns, farms and vineyards are tucked into its rolling green hills and flatlands. This is the big city and the “country,” where agro tourism is just beginning to flourish. 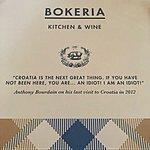 Time spent here will give visitors an idea of what makes Croatia’s heart beat. Most people flying into Croatia will pass through Zagreb on their way to somewhere else. Plan to pause at this visitor-friendly capital, if only for a day. Start at Jelačić Square and walk to Kaptol to see the city’s neo-Gothic Cathedral of the Assumption and upscale shopping area. Dolac market, the Stone Gate shrine, Croatian History Museum, Museum of Naïve Art, Meštrović Atelier, and St. Mark’s Church with Croatia’s crests emblazoned on its roof are immediately west of the cathedral. Walk south through the three broad, green squares that are part of Lenuci’s Horseshoe. Stop at the Strossmayer Gallery of Old Masters, Zagreb’s Botanical Gardens, and the city’s ornate train station, then end the day with dinner at one of the numerous restaurants on the route. Visit the humble village where Croatia’s legendary Gen. Josip Broz Tito was born and raised, in Kumrovec’s Staro Selo, just 25 miles from Zagreb. Interiors and exteriors of the structures in the open-air ethno museum have been faithfully restored to their 1892 state. Veliki Tabor castle is just a few miles from Staro Selo, but you see it long before you get there. The 12-century fortification looms large from its spot on the area’s highest ground and looks like a solid mass of brick with slits for windows. The castle is easily accessible and has been fully restored inside and out. Its interior is an impressive example of how Croatian nobility lived in medieval times.